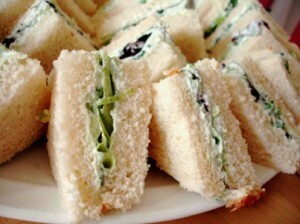 Are you planning for your wedding and not sure what kind of wedding reception food to serve at the reception? 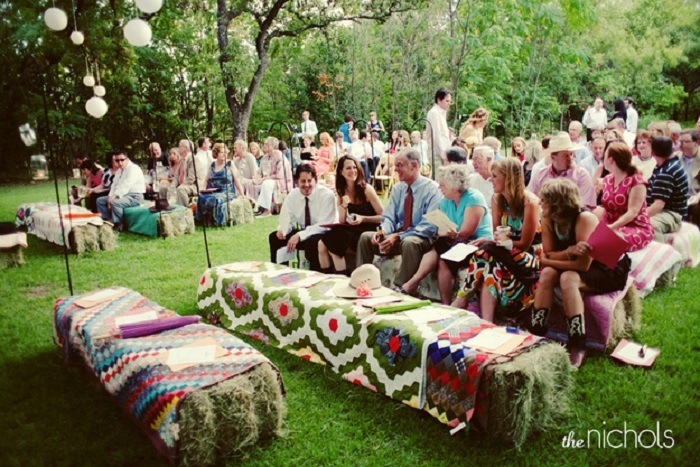 A wedding is an exciting event, but it can also be taxing because of the numerous things to prepare for. 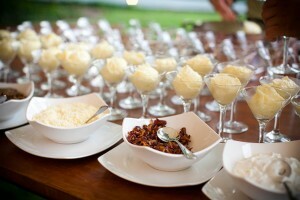 One of the many things that you have to do when it comes to planning a wedding is to decide what to serve your guests. Sure, there are many possible choices out there, but it still important to carefully plan your menu as the wrong choice of food can instantly ruin the celebration. In this post, we show you the top 10 most popular wedding reception food that will definitely make your day a spectacular event. At any casual wedding, nothing beats the all-time favorite of traditional grilled dishes. Thread some fruits and bite-size beef onto skewers and cook them accordingly. 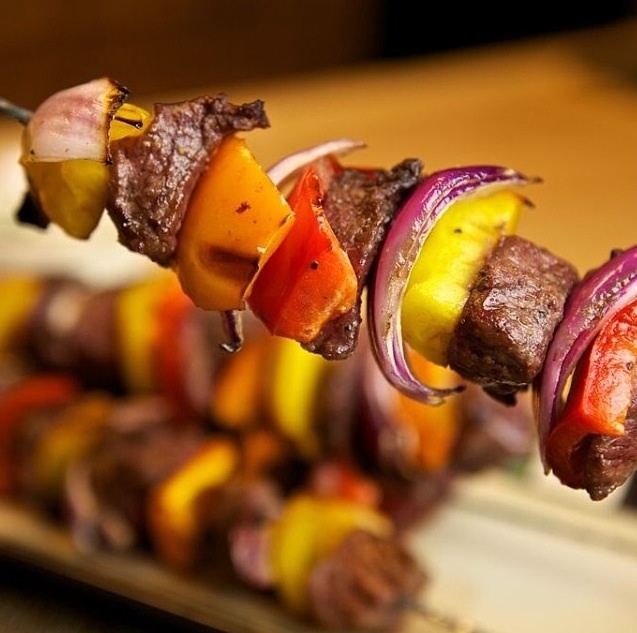 Arrange the kabobs in a large plate or into a piece of large fruit, such as a pineapple, to make it more appealing. Then prepare a delicious dip and place it next to the serving platter. Another popular wedding reception food is fresh salad. Not only it’s easy to prepare, but it’s definitely an excellent and healthy choice for any party. If you want to promote healthy living, as well as, keep within your budget, then this is a perfect food option to serve. 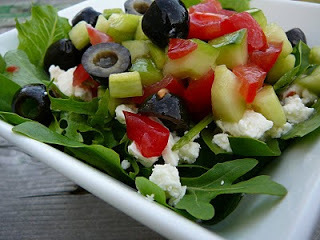 Just mix together green leaves and put some cheeses and onions, and you’ll already have a great and tasty salad meal. 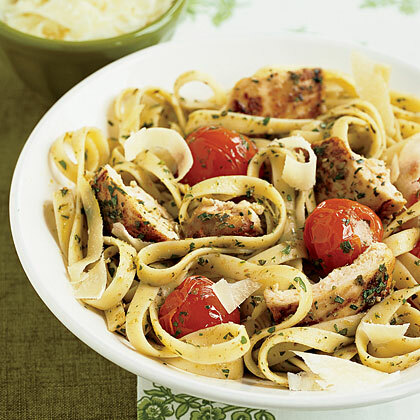 Pasta dishes are the ultimate comfort food, so make sure to include one in your wedding menu. You can choose fresh and simple, or filled and heavy – the choice depends on your budget and style. Some popular choices are spaghetti, ravioli, and fettuccine. Pasta is best served with garlic bread or potato salad on the side. Salmon and chicken dishes are one of the safest bet when it comes to wedding reception food, as many are now cutting back on red meat. One of the popular choices is the baked salmon and chicken. They make a spectacular dish. Any salmon and chicken recipes are best served with brown rice and vegetables alongside. Whether it is a breakfast, luncheon, brunch, or dinner party, finger sandwiches never fails. They are a definite classic and always considered a favorite. 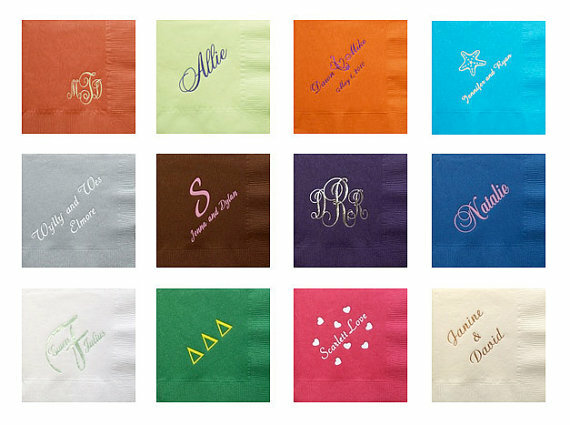 They’re so easy to prepare, so you may want to add them to your wedding menu. There are so many combinations to choose from – salmon and cucumber, ham and cheese, tomato and beef, bacon and olive, egg and cress – the choices are endless. 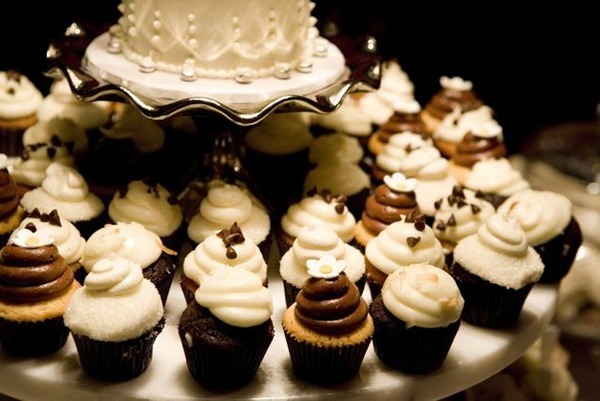 Everyone loves a good cupcake, so it’s a great decision to include them at your wedding reception. Aside from they’re easy and yummy; they also make a lovely centerpiece for your wedding. You can even use them as an alternative for your wedding cake, which will definitely save your wedding budget. The flavors and designs are also endless. You can choose a themed wedding cupcake, or assorted flavors. 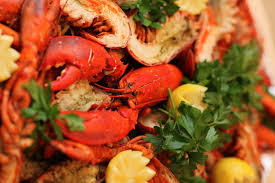 Seafood recipes are another popular and favorite choice of food in a wedding, so don’t forget to put some delicious seafood meals on the table. 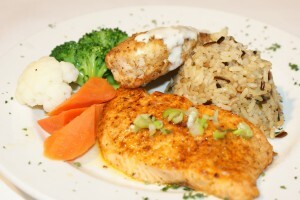 The common choices are lemon-drizzled salmon, grilled shrimp, spicy tuna, crab cakes, and sushi rolls. Mashed potatoes are also a top wedding reception food. They’re usually pretty cheap and easy to prepare, so there’s nothing to worry about them. If you want to make the serving unique, you can set up a station or bar and arrange all the mashed potatoes there. The use of the food station will get your guests out their seats and mingle with others. You can also set up other stations other than a mashed potato bar. 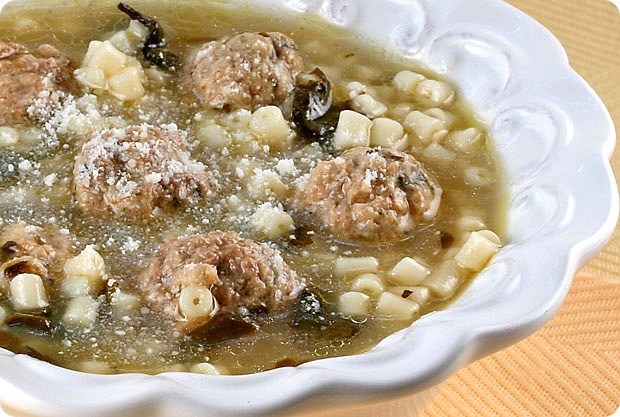 Wedding soups are fulfilling, and they make a perfect food option for winter weddings. If you’re having your wedding in a cold winter month or cool, breezy night, then you may want to consider adding soup on your wedding menu. 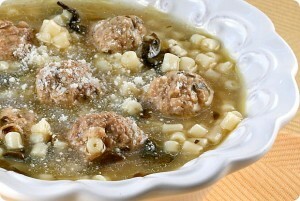 One of the top choices is the Italian wedding soup. This recipe is easy; just prepare the ingredients, mix them together, and cook until tender, then presto! Of course, nothing completes a wedding without refreshing drinks! But don’t go for heavy beverages – light beers and fruit juices are perfectly enough. 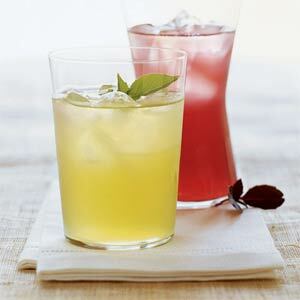 After all, fruit juices are a lot cheaper than heavy beverages, so they are a great choice. If you want to add some twists, just include a fruit shake or smoothie station, where your guests can freely experiment their drinks. With the so many wedding reception food options to choose from, it is really very difficult to find the right food to serve your guests. But with our simple and yet delicious wedding reception food ideas, your wedding will definitely become a day that everyone will never forget. 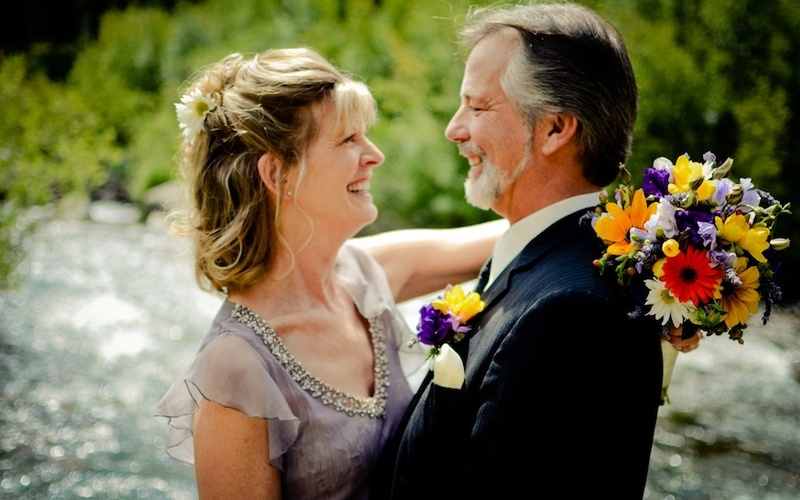 Second Time Wedding: Is It Better The Second Time Around?